There’s an indelible connection between grocery co-ops and independent retailers in the U.S. and the small-scale farmers around the world who have banded together to improve lives in their communities through Fairtrade. In the following article, Fairtrade America Executive Director and NCBA CLUSA board member Hans Theyer shares his reflections on the International Sustainable Coffee Conference hosted by NCBA CLUSA in El Salvador. A version of this editorial ran in the November issue of Cooperative Grocer. In many of the places where Fairtrade works, farmer-owned cooperatives are pillars of the community. These co-ops do more than support their members and provide market opportunities; they build a strong social fabric and improve community services, similar to the function of grocery co-ops across the US. Coffee, cocoa, bananas, wine and much more from Fairtrade cooperatives line the shelves of food co-ops and link their shoppers directly to Fairtrade farmers’ cooperatives. 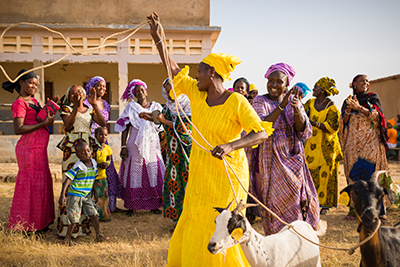 We believe that strong and effective cooperatives are critical for community development. Well-run organizations can deliver more services, negotiate better prices, earn more profit and attract more capital support. This is especially important when volatile markets put farmers in jeopardy. As I write this, the current market price for coffee is still below the Fairtrade Minimum Price after sinking to a low of $1 per pound in September (see our blog post here). Fairtrade International recently released its annual monitoring and impact report chronicling the who, what, where and why of Fairtrade farmers and workers. Of the 1.66 million producers in the Fairtrade system, 1.48 million of them are small-scale farmers organized into cooperatives or associations. Coffee is by far the largest with more than 800,000 farmers across 537 cooperatives. Cocoa is growing quickly with nearly 230,000 farmers. There are certified producer organization in more than 70 countries, including 18 of the 31 countries classified as low-income by the World Bank. 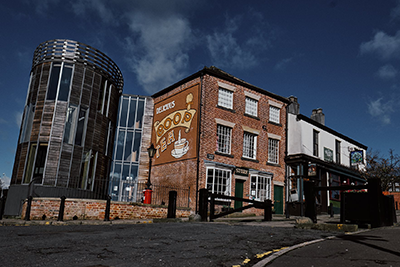 The size of these cooperatives vary greatly with the smallest having just two members and the largest counting more than 90,000 (the average membership is 263). By selling their goods as Fairtrade, farmers were able to earn an additional $145.6 million above the price paid for the raw products. This premium is voted on in their general assemblies and invested according to farmers’ priorities. While most Fairtrade stories focus on education or healthcare investments, the truth is that the majority is invested in direct services to farmer members, including the provision of training, tools, inputs, credit and finance, and farmer bonuses. Another 18 percent goes into facilities and infrastructure. These investments are integral to increasing capacity, ensuring better quality, and adding value to their crop—all of which, in turn, can support better returns for the members and the community. El Guabo, a cooperative of banana farmers in Ecuador, may be familiar to many readers as a supplier to Equal Exchange’s OKE label. 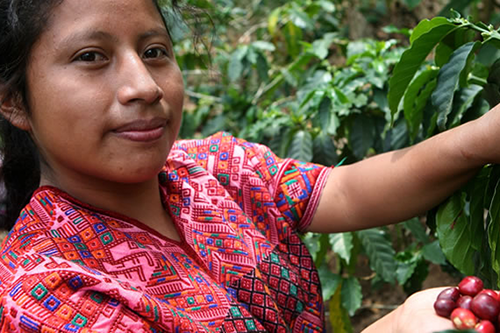 While the co-op invests strongly in health, education and other social programs, the largest portion of the Fairtrade Premium they earn goes toward helping members improve their productivity and infrastructure. Premium investments are just one part of the story. Fairtrade also works to encourage long-term partnerships, like the relationship between ABOCFA, a cocoa cooperative in Ghana, and chocolate-maker Tony’s Chocolonely. Given the low prices paid for cocoa and the difficult work involved in producing it, many young people are seeking better options. The loss of youth threatens the future of the organization, Ghana’s only Fairtrade organic cooperative. Over 60 percent of their members are over the age of 45. ABOCFA has partnered with Tony’s to engage young farmers and improve the opportunities available in cocoa. The growing demand for Fairtrade organic cocoa—and the better prices associated with it—can help many of them see a future among their cacao trees. ABOCFA worked with Tony’s to develop an award plan for young farmers (age 18-35). Farmers received a month-long training in best practices and farm visits. Afterward, a committee evaluated the results and selected ten finalists who received awards ranging from farm inputs to mobile phones, to home appliances. This kind of partnership is key. Fairtrade can only ever be one part of the picture for changing the future for the communities we serve. A forthcoming six-country study looks at the strengths and weaknesses of Fairtrade organizations and how we can help them improve. While these organizations have a high capacity to deliver on development objectives and have had a positive experience with Fairtrade, some are weak in negotiating and building sales, lobbying, and developing relations with other organizations. This research is a call to not just the Fairtrade system, but to other cooperatives and businesses as well. Where could your cooperative or company support farmers more, whether through sales or pre-financing or capacity building? Perhaps you could partner with a brand you carry to support programs in communities where they source their raw products. This all brings me back to El Salvador where NCBA CLUSA has partnered with a local NGO to teach agricultural best practices. The program has helped farmers drop their production costs from $5,000 per 1.7 acres to $1,200. These changes mean families can now direct more income to better nutrition, education and improving living standards. NCBA CLUSA is much more than a business association; the staff go to great lengths to support farmer and worker cooperatives around the world, many of them Fairtrade certified. For many communities, Fairtrade can be transformative, but the system works best when we all band together to support each other.